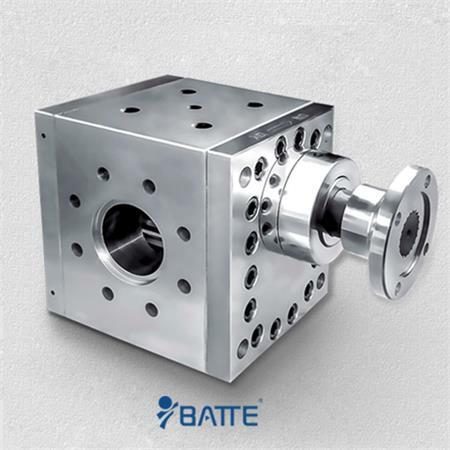 From a processing point of view, it is our main goal to control the output pressure of the melt gear pump as low as possible, which will lead to an increase in output and an increase in the efficiency of the extrusion system. 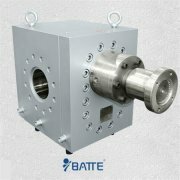 In addition, in addition to filter screen pollution, the viscosity of the mixture, the size of the sieve hole and the available filter area are the decisive factors for the output pressure of the melt gear pump. The machines and equipment suppliers can not meet the requirements of the size of the screen or the viscosity of the rubber, but can be designed to meet the requirements by the design of the available filter area. This shows how pressure increases when gear pumps export at two different filter areas in the case of increased productivity. If the filtration area is too small, the increase of productivity will lead to higher pressure growth, and the appropriate size of filter area will result in the opposite. The filter area used for the first extrusion test is accurate to one square unit. When the production chain is 3 times higher than the original X value, the outlet pressure of the melt gear pump is doubled, as shown in Figure 4. 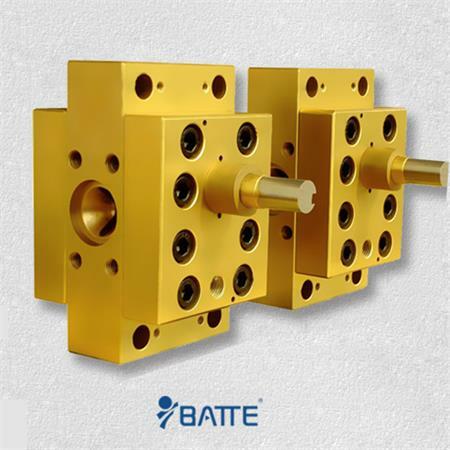 There is an increase in the area of the sieve plate (2.6 square units), which may reduce the outlet pressure of the melt gear pump. 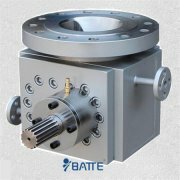 Due to the expansion of filtration area, the outlet pressure of the melt gear pump is obviously reduced.